For an Elegant Lifestyle, with world class Tarpon Fishing, Boating, Sailing, Golfing and more, much more is why people come to Punta Gorda.Punta Gorda is one of Florida’s premier year-round eco-tourism destinationsThe area has been featured on SAIL magazine’s list of the “10 Greatest Places to Sail in the United States,” ranked by Golf Digest as the “Third Best Place to Live and Play Golf in America,” and rated by MONEY magazine as one of the “Best Places to Live in the South.”In 2011 The Punta Gorda Wine & Jazz Fest Made Southeast Tourism Society’s Top 20 List and continues to excel.In 2010 Punta Gorda was voted Top Farmers Market in Florida! It is still excellent. 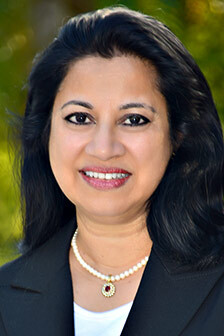 This recent article highlights the appeal. There has never been a generation quite as consequential as the baby boomers. They forever transformed music and politics, ushered in the computer era, pioneered fanciful notions like free love, recreational drugs, Amazon.com, and Hot Pockets. So what do they do for an encore? Completely reshape retirement. Get ready for a graying tsunami: Nearly 50 million of the enormous cluster of 74 million Americans born between 1946 and 1964 have yet to hit 65—with around 10,000 a day making that milestone over the next decade. This massive surge of retirees is already reshaping real estate markets across the county. In fact, nearly 1.2 million people 55 or older relocated out of state last year, the highest number on record. Where are they all going? This generation of Americans, renowned for doing things theirway, are eschewing some of the traditional communities favored by their parents in their later years. 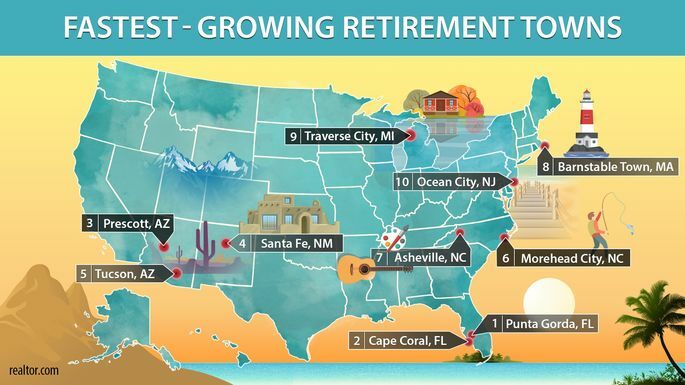 So realtor.com® set out to find the nation’s fastest-growing retirement destinations. All the places that have made our list are walkable, tourist-friendly destinations—and that’s where the similarities end. Many of these retirement havens are in warmer climates in the South and Southwest. A few are in the chilly Northeast and Midwest, and one is about as far north as you can get without going to Alaska. Some have long been popular with seniors, while others were places where new retirees vacationed as children. And those that can’t boast ocean, lake, or mountain views often make up for it with their dry heat. One troubling note: Boomers have less in retirement savings than previous generations, a vexing problem, since they’re expected to live longer than their parents, according to the Stanford Center on Longevity. They’ve only socked away a median $209,000—while one in three have no nest egg at all for their so-called golden years. This explains why some of the more luxurious locations on our list are popular with more affluent boomers, while the appeal of others lies in their affordability. Since not everyone who lives in a retirement town is there year round, we added in the increase in the percentage of second homes in these metros. And we only included two metros per state, to ensure some geographic diversity. So where are the places that are booming with boomers? Hurricane Charley and its 145-mile-per-hour winds hit Punta Gorda head on in 2004, devastating the community. The city was rebuilt, but with much stricter building codes, to make sure these new homes could withstand high winds. Those newer abodes have become magnets for retirees who want to make sure their forever homes on the Gulf Coast can withstand future storms. 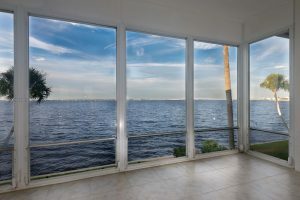 Retirees especially like Punta Gorda Isles, a neighborhood of single-family homes offering breathtaking views of the ocean and easy access for boaters. Homes range from $200,000 to over $1 million. But the cherry on the top of Punta Gorda for aging Americans is that there is no state income tax to eat away at their nest eggs. Nada. Zero. Zilch. 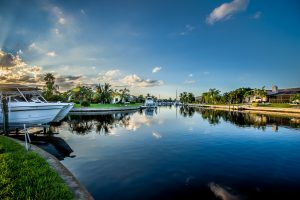 Cape Coral’s selling points are its warm weather, its coastal location on the western side of the state, its chill vibe, and much lower prices than Miami ($390,000) or Key West, FL ($699,000). 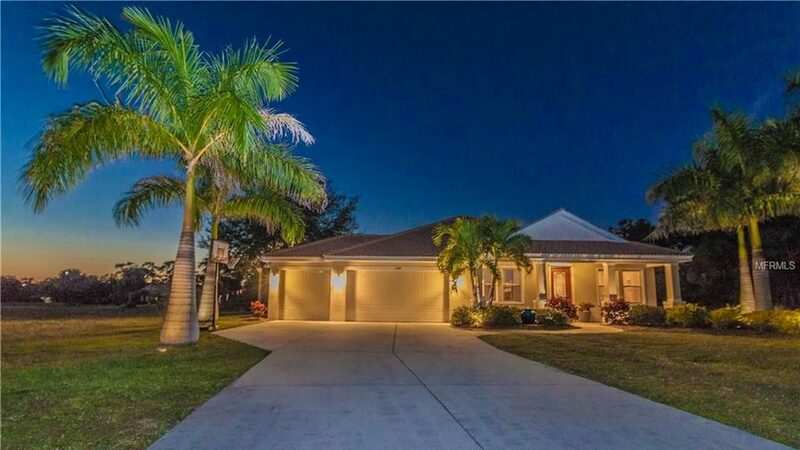 And it’s become even more appealing in recent years, with home prices falling in Cape Coral, down 3.5% year over year. The decrease is the result of overbuilding and, like Punta Gorda 30 miles to the north, storm damage. In 2017, Hurricane Irma caused water to flood up from the 400-mile canal system that runs through the backyards of thousands of homes. But that unique canal system remains this community’s centerpiece, treasured for transportation and recreation alike. The area has seen a surge in retired veterans buying three-bedroom homes with palm trees out front. The reason? In 2012, the U.S. Department of Veterans Affairs opened the Lee County VA Healthcare Center, a 220,000-square-foot, state-of-the-art VA hospital in Cape Coral. Others are investing in custom dream homes. “We’re seeing a lot of retirees buy [land] lots for just $5,000 to build homes on,” says Mike Lombardo, a local real estate agent at Old Glory Realty. Every evening, locals in Prescott can take in the glorious sunsets behind Thumb Butte, a mountain that towers in the distance. 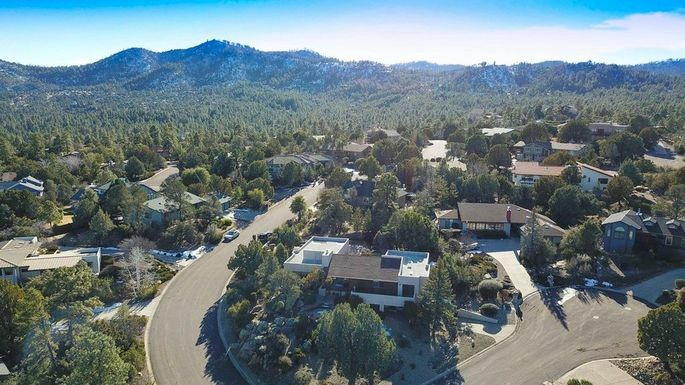 This low-key mountain town is drawing retirees seeking the outdoors, with plenty of hiking and mountain biking opportunities at nearby Prescott National Forest. And the word is getting out: Where to Retire Magazine ranked Prescott the fourth-best place for retirees to put down roots. But moving here won’t be cheap. Last year, realtor.com named Prescott one of the most expensive retirement towns. That’s because Californians are driving up prices by selling their seven-figure homes and using the proceeds to buy up properties here. Seniors with cash reserves can find places in upscale 55-plus retirement communities like Touchmark at The Ranch, a 44-acre community known for its lodge-style homes. The historic downtown district of Santa Fe Plaza is packed with unique art galleries, shops, restaurants—and lots of boomers. 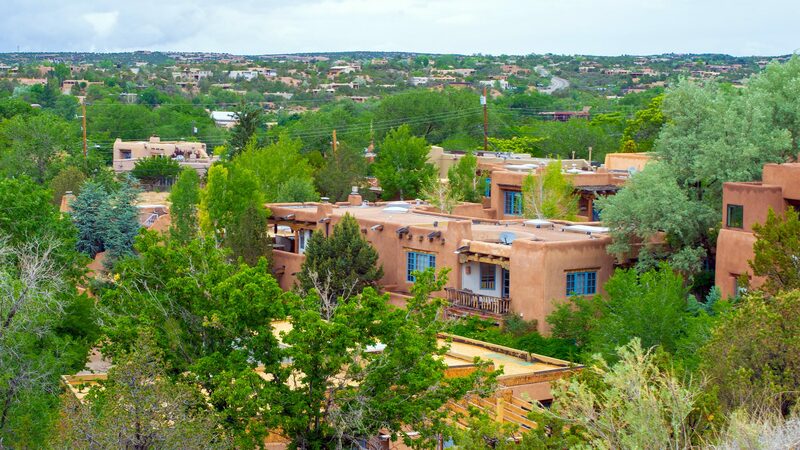 This neighborhood with its pueblo-style and adobe architecture is the prime stop for retirees who want to soak up Santa Fe’s cultural scene. As real estate prices reach scarily high levels in some West Coast cities, Santa Fe is one of the places reaping the benefits. Retirees often buy pueblo-style homes, boxy sandy-colored homes with flat roofs that are built to stay cool during those hot summers. They start around $300,000. Or they’ll put that 300 grand down for a condo downtown, which is harder to find these days. “Walkability is a huge deal for retirees, one of the main reasons they migrate to Santa Fe,” says Hultberg. 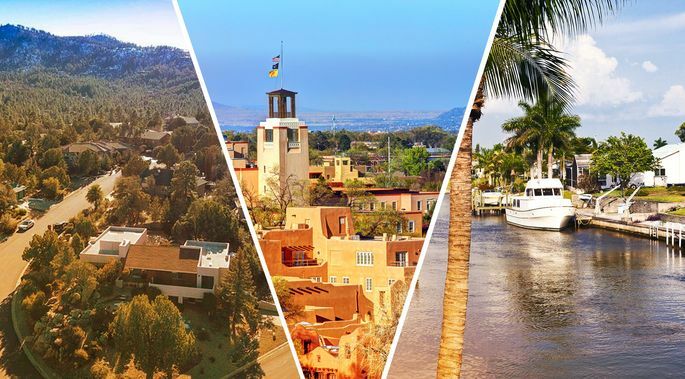 For those who crave dry heat but can’t quite swing the pricier destinations in Arizona and New Mexico, Tucson has become a hot ticket. It’s the cheapest big city in Arizona. 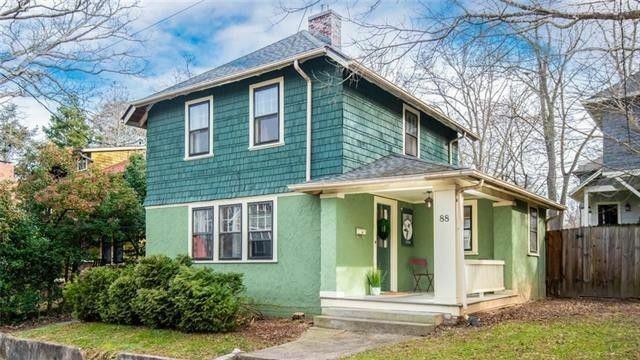 Savvy buyers can still find some one-story homes at about half of the metro’s median price. 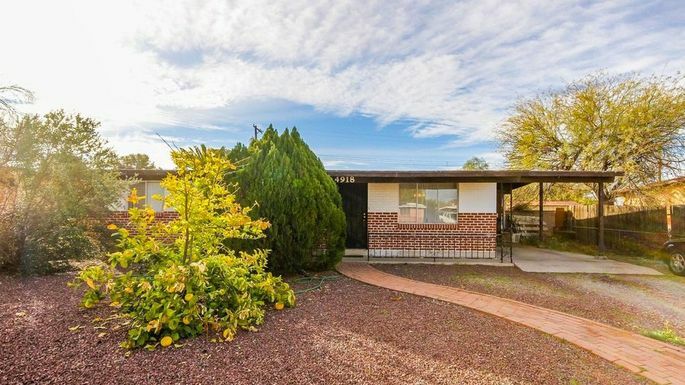 Look no further than this three-bedroom ranch with a sidewalk leading right up to its front door, priced at just $142,000. Retirees who see age as just a number have plenty of fun outdoor and cultural options here. Tucson is only an hour’s drive to Mount Lemmon Ski Valley, the southernmost ski resort in the United States. Or they visit the Mission San Xavier del Bac, a historic Catholic church founded by the Spanish in the 17th century. This town on the Crystal Coast, a lovely 85-mile long stretch of Atlantic coastline, revolves around fishing, with folks casting reels on many of the city’s ocean piers or Sugarloaf Island. Diehards can even charter a boat for some deep-sea excursions. Unlike other nearby cities on the water, Morehead City doesn’t have as many tourists who could disturb the fish. And those who don’t engage in the sport can sunbathe on Serenity Bay Beach. Or try some grub at the annual North Carolina Seafood Festival. 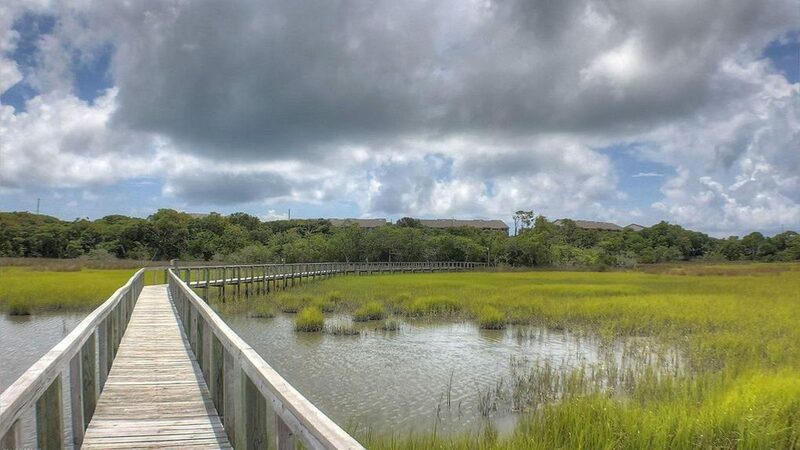 Retirees here don’t have to break the bank to own something right on the beach. Some two- and three-bedroom condos sell for around $200,000, with access to amenities like swimming pools, racquet ball courts, and fitness centers. Downtown, you’ll find the Osher Lifelong Learning Institute at the University of North Carolina Asheville, offering classes for retirees looking to learn new skills. Not the classroom type? You can hike through the nearby Pisgah National Forest or visit the 250-room Biltmore Estate, George Vanderbilt‘s former home, once the biggest private residence in the United States. Many of these older, new residents are purchasing $350,000 to $500,000 suburban homes, Mattos says. The most active retirees are buying in Historic Montford, a neighborhood lined with 100-year-old homes and within walking distance of breweries and art galleries. 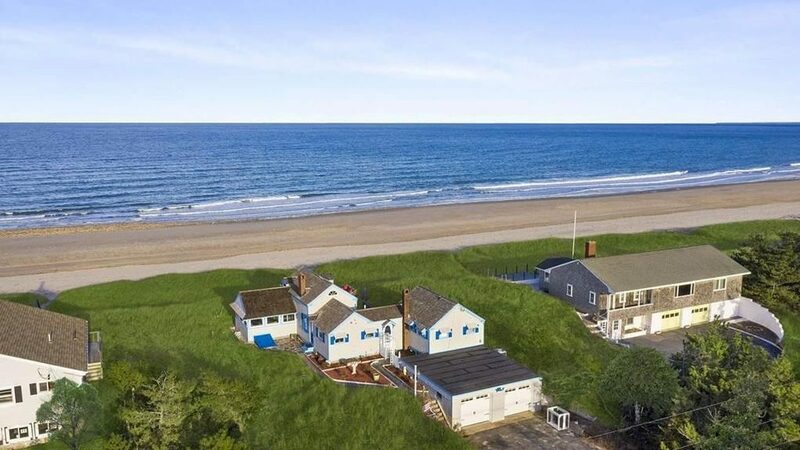 The white sandy beaches of Cape Cod (part of the Barnstable Town metro) have long been prized vacation refuges for New Yorkers and Bostonians looking for a getaway. But in recent years, there’s been an influx of retirees moving in—or, perhaps more accurately, back. Many of these folks spent their working careers vacationing here and now want to live out their golden years here full-time. I am thrilled to be living in Punta Gorda. If you knew it the way I do, you would love it too. 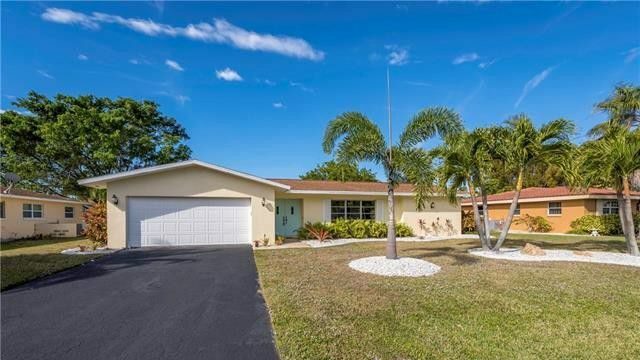 Let me take you on a tour of my Punta Gorda. 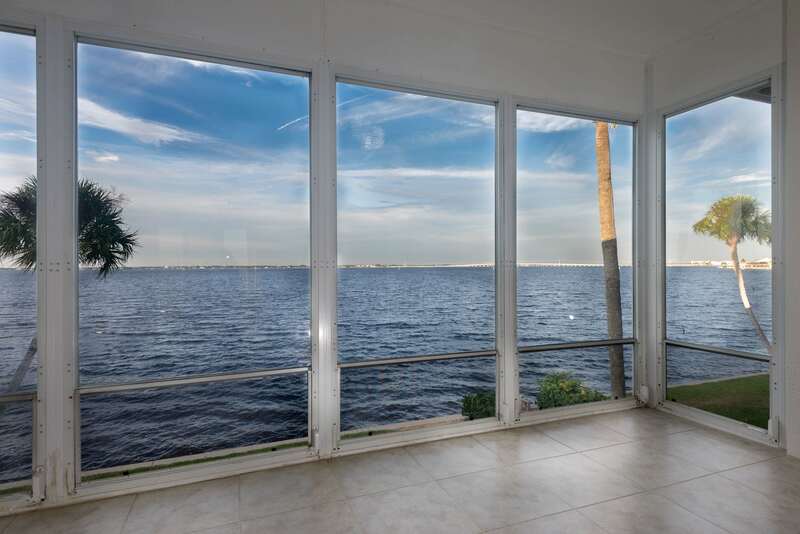 Watch this video of my Punta Gorda. For an Elegant Lifestyle, with world class Tarpon Fishing, Boating, Sailing, Golfing and more, much more is why people come to Punta Gorda. In 2011 The Punta Gorda Wine & Jazz Fest Made Southeast Tourism Society’s Top 20 List and continues to excel. In 2010 Punta Gorda was voted Top Farmers Market in Florida! It is still excellent. I have lived in this area for over 20 years and love it here. The growth and the planned development is a pleasure to see.